This dress was specially made for the exhibition Reform; Lokstallet, strömstad. The subject of the exhibition was re-designed fashion. 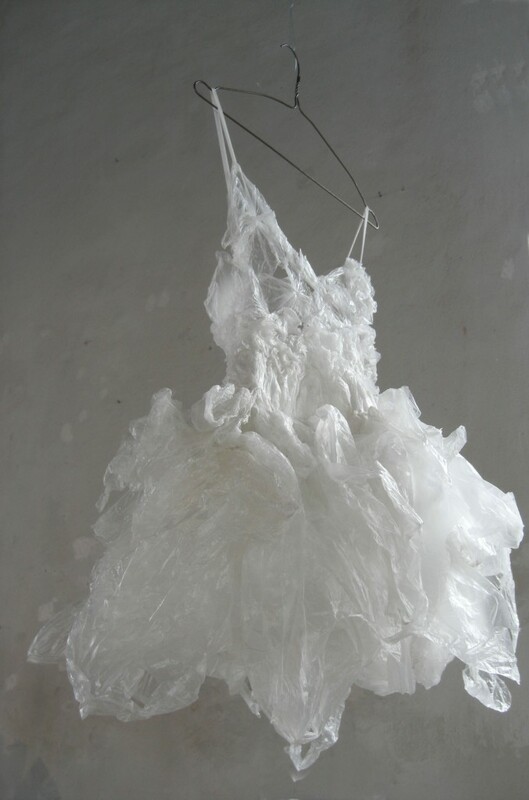 The dress is made from plastic bags and is wearable with a zipper in the back but I consider it more to be a sculptural piece. The dress also attended the exhibition Väder och Oväder; Not Quite, Fengersfors.